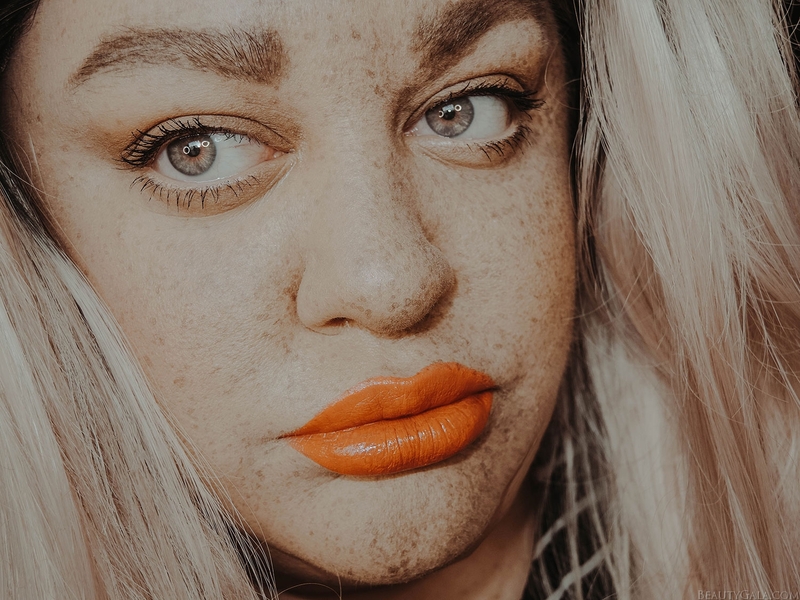 I’ve seen the faux freckle trend explode all over social media and I am here for it. I think freckles are beautiful and I wish I was born with them naturally. I discovered a product lurking in your local drugstore that can give you the most realistic looking faux freckles ever. Put down your brown eyeliners and read on to find out how I did it! 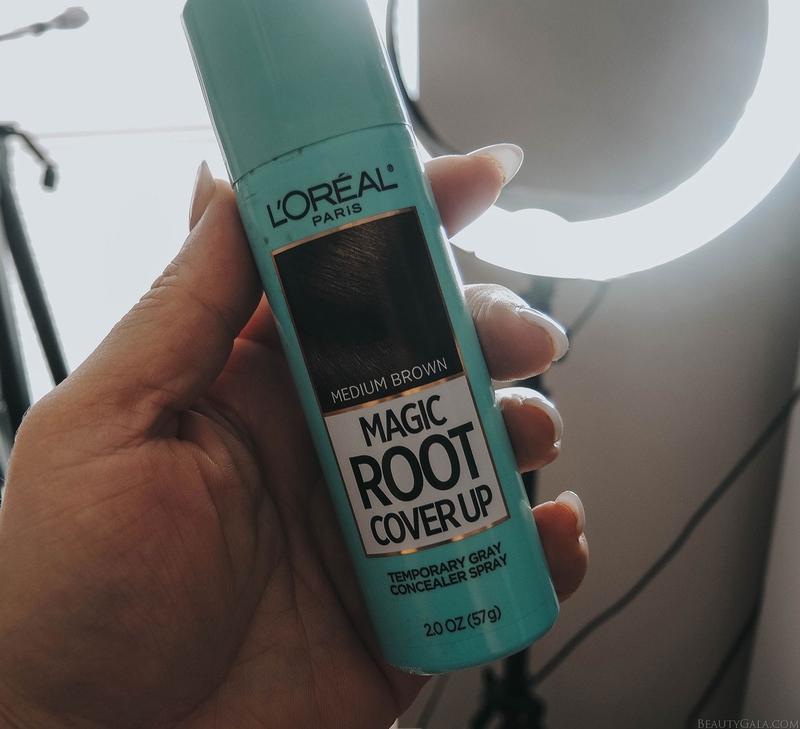 The magic of L’Oreal Magic Root Cover Up in Medium Brown. 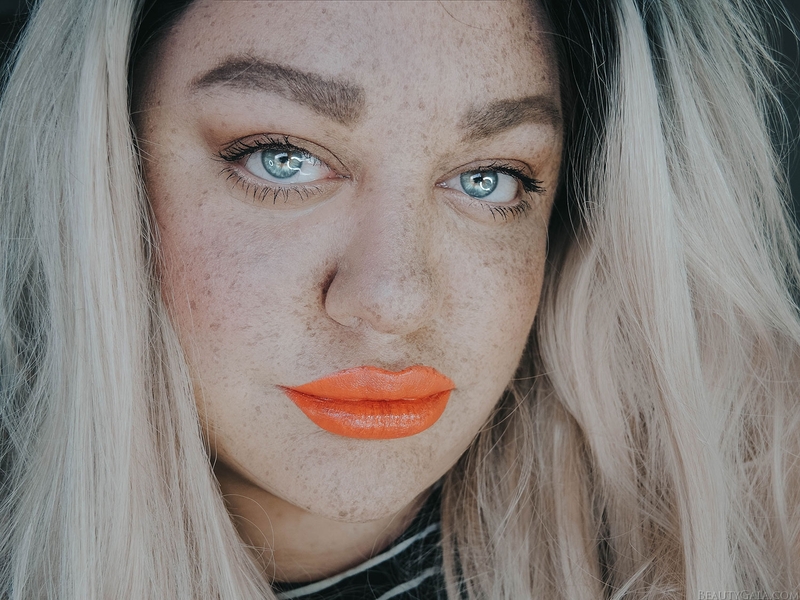 This product does come in a few different colors and you can definitely switch to a lighter shade if you are very fair, but I’d say that Medium Brown is likely a universally great color for faux freckles on all skin tones because it shows up on everyone and looks the most like natural freckles. This product is made to cover up gray hair at your roots so that you can go a little longer without dyeing your hair. It’s an aerosol spray can and you shake it well before using. The nozzle is a small tube, so when you just barely apply pressure, the product sprays out of the tube in flecks. You’ll want to practice this on a piece of paper towel before you do it on your face. It takes a couple practice runs and then you’ll have it down to try on your face. Put your finger on the nozzle while it is aiming at a piece of scrap paper or paper towel. Very, very slowly push down on the nozzle until you hear a light hissing sound like the product is about to come out. Instead of spraying out, it will disperse product in a splatter. This is exactly what you want. Once it is dispensing like a splatter instead of a full on spray, you’re ready to test it on your face. Build up your freckles. Start with a few and you can go back and add more, depending on what look you’re going for. If you feel you overdid it in any one place, go in with your foundation brush and lightly buff over the freckles so that they become lighter and less noticeable. Spray the splatter onto the places on your face where the sun would naturally hit. This is where real freckles show up. Think about your nose, the temples, middle of the forehead, and chin. You can see I even let some spray onto my lips once my lipstick was on so that it looked super natural. 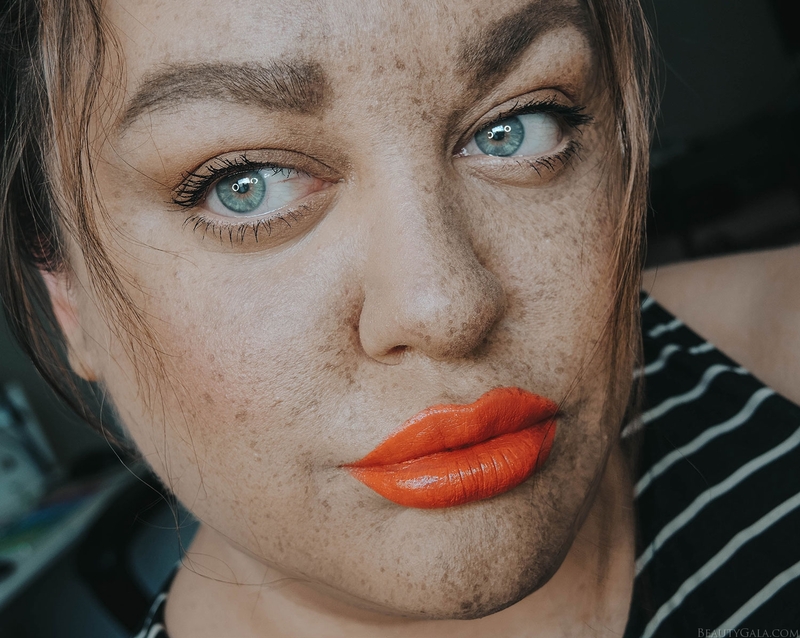 Don’t wear a ton of heavy makeup with faux freckles. Real freckles will show through only if you are wearing a light coverage foundation. Keep the rest of your makeup light. I used a bit of CC cream and blush on my face and left the rest bare. I applied some in between foundation and blush and then again once my blush was on, so everything looks seamless. The best part? These wash right off with a makeup wipe or cleanser but never smudge at all once they are on your face. You’ll get a nice long-lasting finish. Buy L’Oreal Magic Root Cover Up here or find it in your local drugstore or Ulta Beauty. Lipstick is MAC Cosmetics Morange (click to buy).